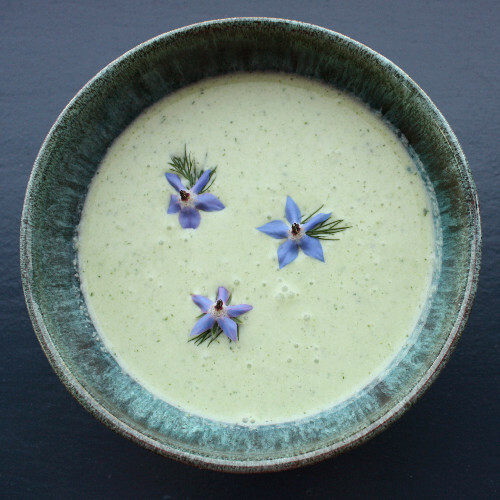 My chilled cucumber soup is a great alternative for hot days. Cucumber makes this cold soup into a refreshing and nourishing alternative using greek yoghurt as our second based ingredient. High in protein, fibre and potassium. Finely slice the spring onions, place in a small bowl, and squeeze over the lemon juice. Set aside for 10 minutes. Meanwhile, in a large bowl whisk the Greek yogurt with the vegetable stock until well combined. In a blender, blend the cucumber, spring onion and lemon mixture, dill and parsley. Add to the yogurt mixture and whisk to combine. Refrigerate for an hour or until ready to serve. You can top the soup with extra diced cucumber, spring onions and herbs.